To Scape The Serpent's Tongue: Caganerwatch: What Is A Caganer? Caganerwatch: What Is A Caganer? Every year, I am asked this question whenever I launch Caganerwatch: What, pray tell, is a caganer anyway? A Caganer (Catalan pronunciation: [kəɣəˈne], Western Catalan: [kaɣaˈne]) is a figurine depicted in the act of defecation appearing in nativity scenes in Catalonia and neighbouring areas with Catalan culture such as Andorra, Valencia, Northern Catalonia (in southern France) and the Balearic Islands. It is most popular and widespread in these areas, but can also be found in other areas of Spain (Murcia), Portugal and southern Italy (Naples). 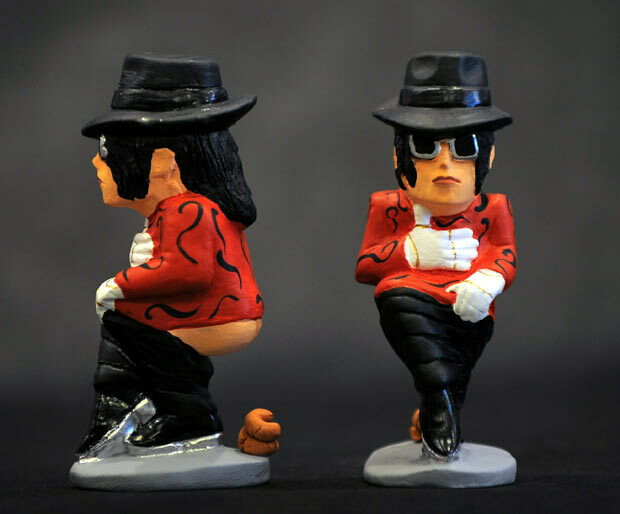 The name "El Caganer” literally means “the crapper” or "the shitter". 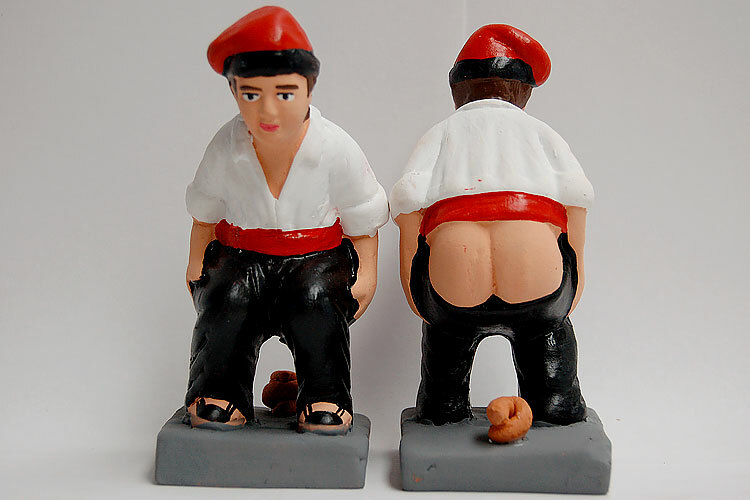 Traditionally, the figurine is depicted as a peasant, wearing the traditional Catalan red cap (the "barretina") and with his trousers down, showing a bare backside, and defecating. Caganerwatch will be proud to bring you caganers throughout the runup to December 25, along with - hopefully - a crop of Xmas fails and ingenious stunts. Here's an example of the kind of caganer you are to expect. Ladies and gentlemen, I present Michael Cackson. Crossposted to The Plainclothes Clown.